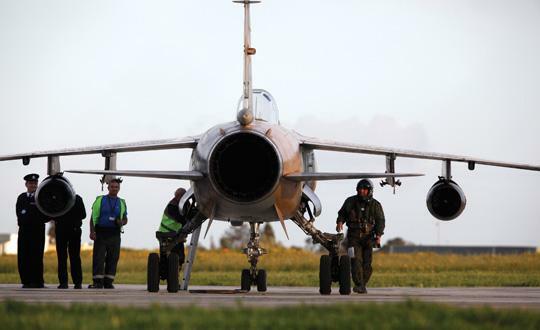 Two Libyan fighter jet pilots landed in Malta yesterday claiming to have escaped the country after being asked to bomb protester civilians in Benghazi. The story backed claims that military planes were being used to attack protesters in Libya as Col Muammar Gaddafi’s regime was threatened by massive protests which yesterday spread to the centre of Tripoli. The men, who claimed to be high-ranking colonels from the Okba bin Nafe base close to Tripoli, requested political asylum, sources said. They arrived on single-seater Mirage F1 planes at 4.30 p.m. and the government said they asked to land due to fuel shortage. The pilots only made contact with the control tower once they had landed on the commercial runway. They were taken into police custody and questioned, with preliminary investigations confirming their story. Libyan sources said the pilots were very close to carrying out their orders to gun down protesters but at the last minute decided not to and redirected their planes to the nearest base, the Malta International Airport. 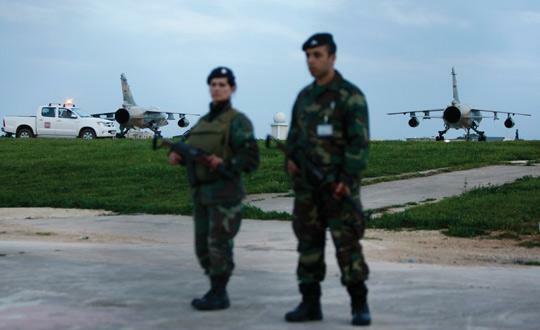 Meanwhile, two French-registered Super Puma civilian helicopters landed in Malta at about the same time, carrying seven French passengers who had been contracted by an Italian firm to work in Libya. Informed sources said the helicopters “escaped from Libya with no official clearance” but arrived in Malta in a regular way. Such was the haste of their departure from Libya that only one of the passengers was carrying a passport. Libyans who saw the planes descending on the Maltese airport said this was not the first time fighter jets had been used to attack civilians in Libya. It was also not the first time pilots had defected and sought refuge in another country. The descriptions of the planes also tallied with descriptions Libyans had been receiving from family and friends in Benghazi where such planes were being used to shoot protesters.